One of the deciding ranking factor is the thickness of a website and the number of unique and interesting content pages that it has. However, ranking a website with just a single page is also possible. Have you seen a single page website before? I believe you have (if you browse enough and are into discovering new stuff) but in case you haven’t; have a look at the Delhi Timeline website. The look and feel is simply awesome and yes, it is a single page website. Ask the client to add a blog section – This is the first thing you should suggest your client. Well, yes I am destroying your single page website and making it into a content hub. But if your client agrees to that, then trust me, there is nothing better! This would simplify your work to a great deal (considering you already know how to SEO a multi-page website). If the client says NO and he is not willing to compromise the minimalist look of the website, SEO the given single page website as discussed below. Can a single page website rank as well as a multi page website? Yes, but there are some limitations. As pointed out in an earlier post, the most important factor in ranking is a website’s capability to deliver relevant content for search queries. With this in mind, it is safe to say that as long as your single page website adds value to search results and has relevant info for the users, your website is destined to rank. The limitations? With a single page website you cannot target various different market segments on the same website. With a regular website, you can always target more keyword-phrases in your niche by adding pages with relevant content. With a single page website, however, you would need to focus your target on a closed group of keywords that are similar to each other. This means that you can rank a single page website for keywords two similar keyword (like ‘personalized notepad’ and ‘personalized note pads’) but ranking it for two dissimilar keywords (like ‘personalized notepad’ as well as ‘weekly desk planner’) is going to be extremely tough. 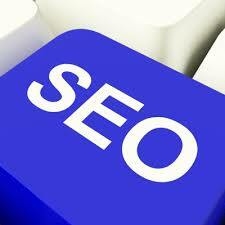 It is, hence, required that you select only very closely related target keywords. This is a big No! Never stuff too much information on your single page website. Make sure your content is to the point and is focusing on a single topic. Overloading your page with information would dilute your content and inhibit rankings. Treat each section of your single page website as a separate page. Use proper H1 and H2 tags. Do not hesitate to use more than one H1 tag. Sounds bad? It is not. Trust me on this. Matt Cutts himself confirmed that using multiple H1 tags is acceptable as long as they are relevant. Like Wikipedia gives you an option to navigate to different sections of the page, you should implement the same on your single page websites as well. This can be done by use of Anchor tags that link within a page. More details can be found on this EchoEcho.com page. This technique could be used to create an effective Navigation menu. This navigation menu would help improve user experience. These anchor tags also act as a SEO signal and would improve your webpage’s keyword relevancy. Though I love single page websites, I would still not recommend using a single-page website for a business that needs to attract organic traffic. Sure single page websites can be used for a fun project or for showcasing your company products. But for all other purposes, a standard multi-page website is recommended.